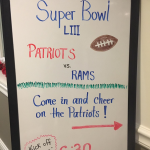 Residents Had a Ball Celebrating the Super Bowl! 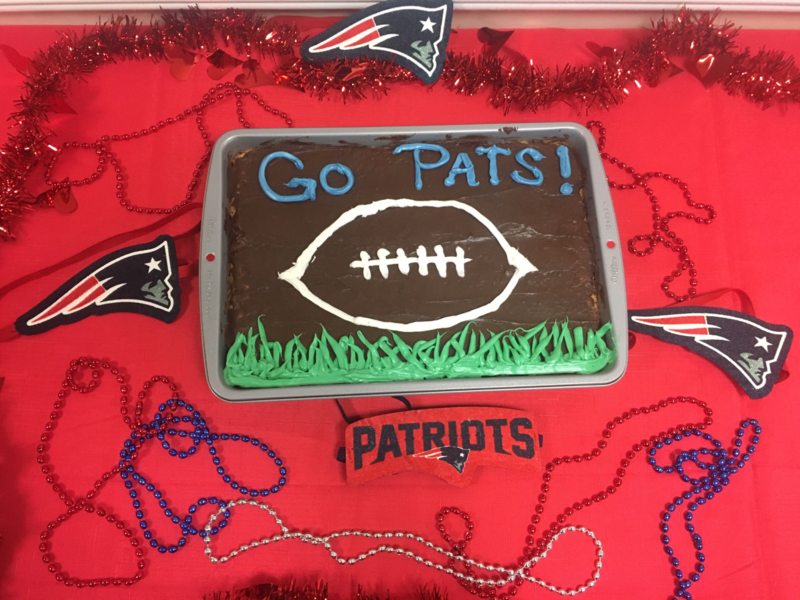 As many of our residents are natives of New England, you can only imagine the amount of diehard Patriots fans that call East Village Place home. 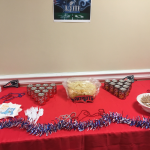 We celebrated Super Bowl Sunday by throwing a pre-game party complete with an array of delicious snacks & drinks. 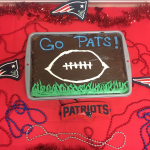 Community Life baked a cake and frosted it with a giant football and appropriately wrote “Go Pats!” in blue frosting. 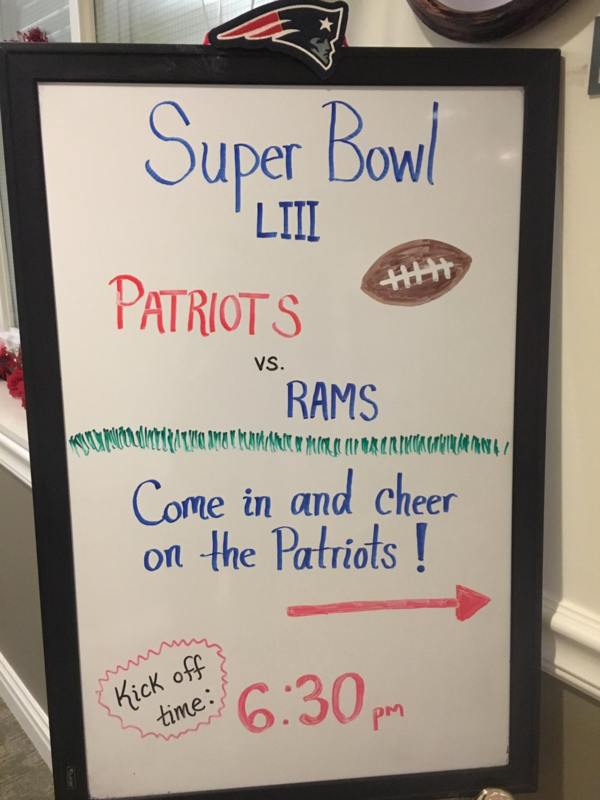 Residents used their booster bucks to place bets on the game before we watched highlight reels from some of the previous nail-biting Patriots playoff games from recent years. 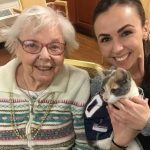 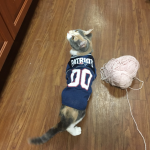 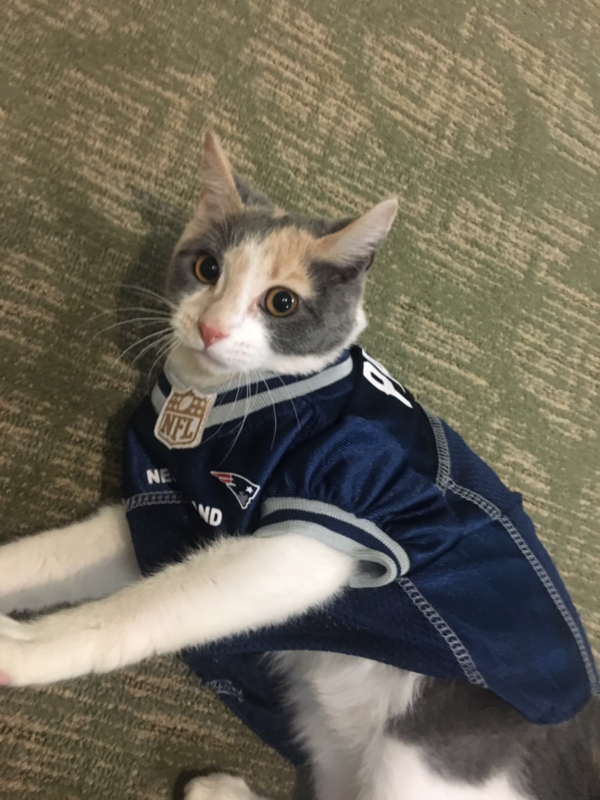 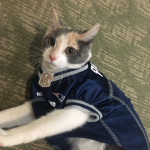 Our resident therapy kitten, Luna, even made a guest appearance in her Patriots jersey! 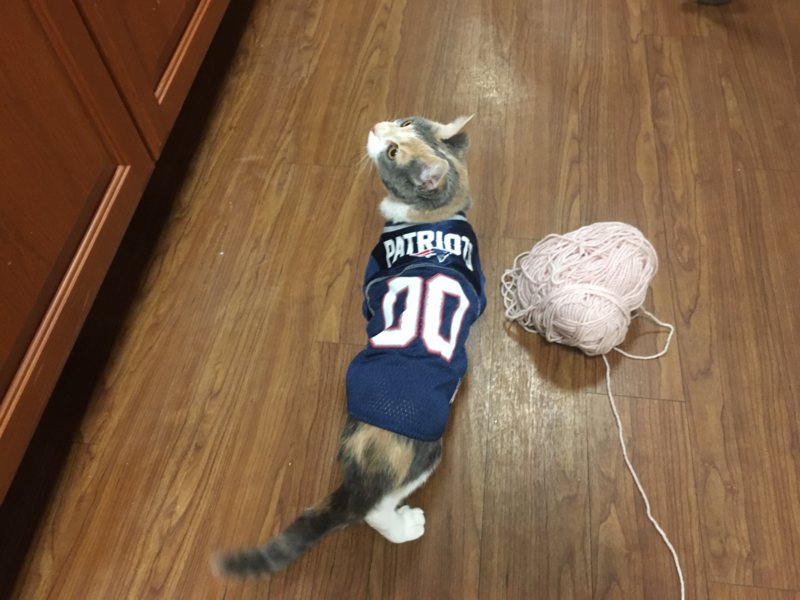 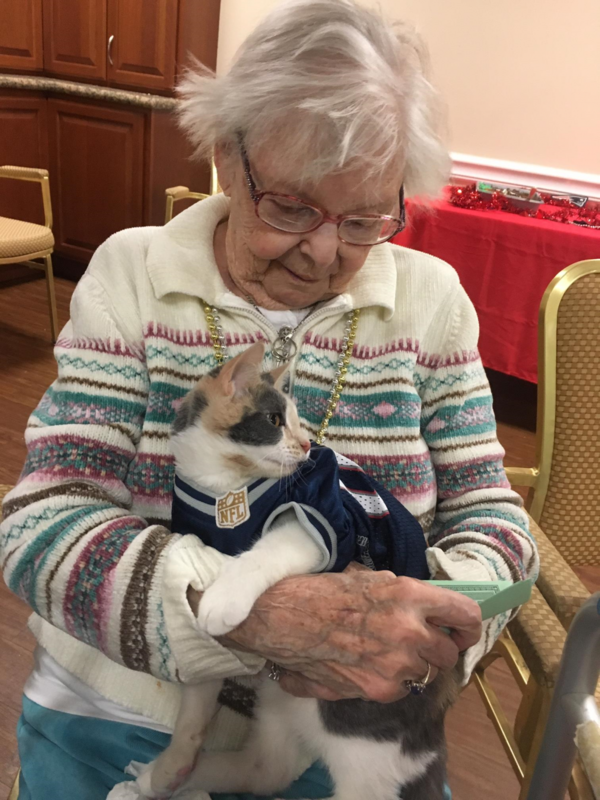 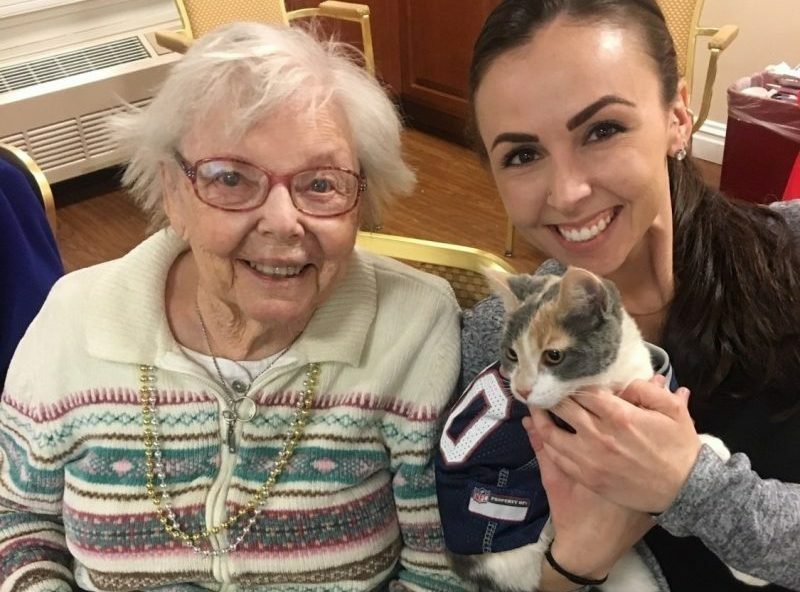 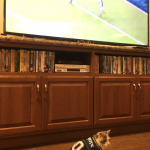 Residents got a kick out of watching the tiny kitten chase a ball of yarn while wearing their favorite team’s gear. 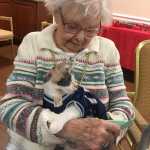 After residents finished dinner, it was time for another party! 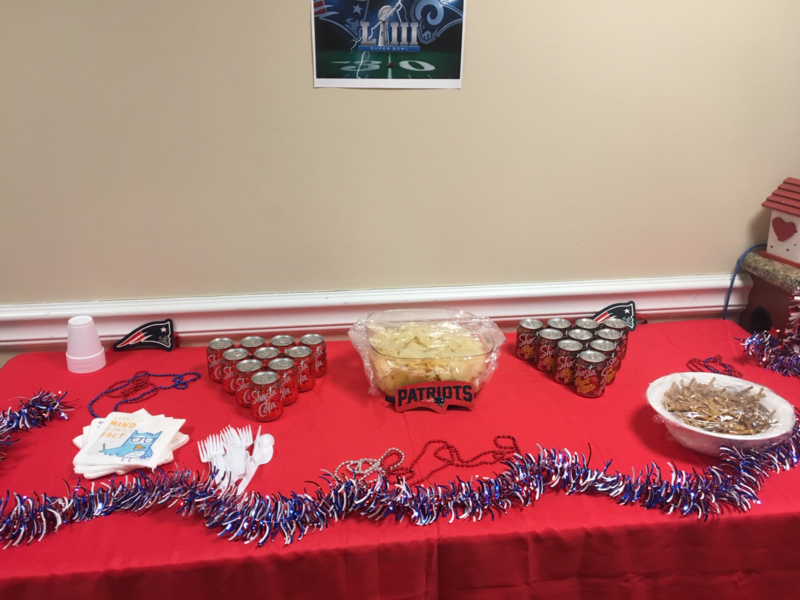 Football fans gathered in the Activity Room to watch the big game on our 70-inch high definition flatscreen television while they enjoyed chips & dip and root beer. 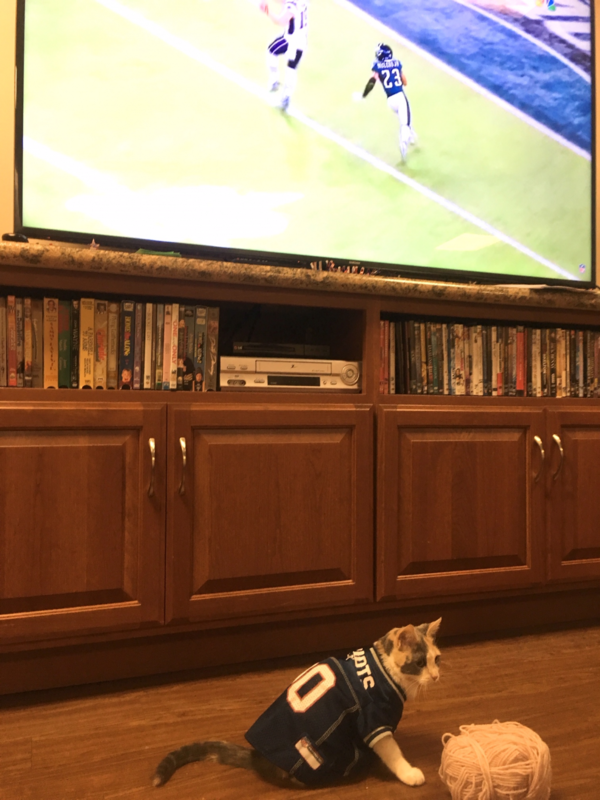 Although the game may have had a slow start, we came through with the big win!